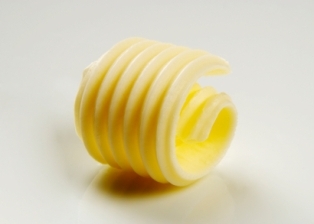 Should the RDA of Saturated Fat Be Increased? Saturated Fat: Not so bad after all? But new research indicates saturated fat may not be so bad after all—even among butter and beef sources. The health world has really come around on saturated fat. With all the studies done on coconut oil’s healthful properties—an oil that’s absolutely loaded with saturated fat—it’s not hard to understand why. For instance, a study just recently published in the journal Diabetes found that a diet high in coconut oil was great for decreasing insulin resistance and keeping weight levels in check. But could it really be true that all forms of saturated fat aren’t so bad? Well, if the review of 21 separate studies is accurate, then yes. Researchers reviewed the data compilations of some 350,000 participants. The information on the participants concerned their eating habits and whether or not they developed heart complications. They were followed for between five and 23 years, depending on the study’s depth, and all of the participants were healthy at the start. By the end, 11,000 experienced a stroke or were diagnosed with heart disease. But when researchers looked at their diets (the participants completed food frequency questionnaires), they found a negligible difference between heart health and saturated fat. In other words, a person whose diet that was high in saturated fat was no more likely to have heart disease than a person whose diet was low in saturated fat. Now, does this mean that 16-ounce steaks and sticks of butter will now be brandished as “health foods”? Probably not. There’s still something to be said for balance and moderation. But with the results of this and other studies, it’s becoming increasingly apparent that the recommended daily allowance for saturated fat be increased from its current mark of less than16 grams per day (for the typical 2,000 calorie a day diet). What do you think? Is saturated fat something that ought to be avoided, or do you buy the fact that it doesn’t contribute to heart disease? Posted: February 8th, 2010 under Coconut Oil, Saturated Fat.